Russian police are suggesting an amendment to the Criminal Code that would provide prison terms for civil servants who accept money promising to influence a colleagues’ decision. 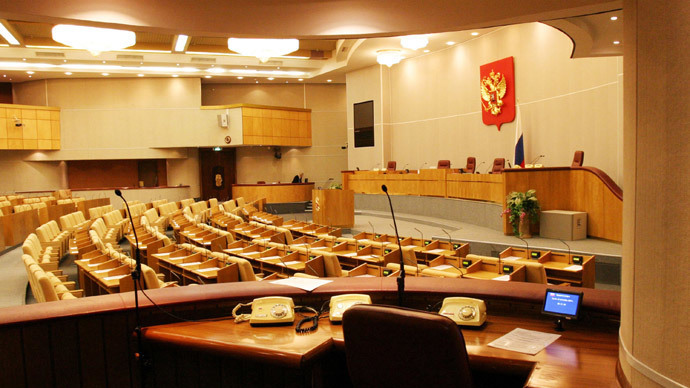 The initiative was discussed in the State Duma this week. The sponsors of the bill suggest that it makes no distinction between the actual action and simply a promise to help with passing favorable decisions. 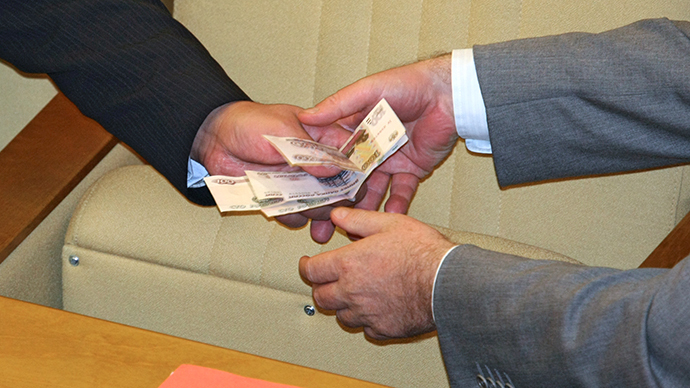 The main reason for such move is the growing number of cases in which investigators have to classify bribery as fraud after it turns out that the person extorting money for influence has no powers to make the necessary decisions, the deputy head of the Interior Ministry’s Economic Security Directorate told the Vedomosti business daily. It is impossible to bring a tax inspector to justice for bribery even when he is caught red handed, because all decisions are made not by him but by the head of the tax body, the official added. According to current legislation the punishment for fraud is much softer with a maximum prison term of 10 years instead of 15. The maximum fine for fraud is 1 million roubles (under $30,000) and fines for bribery are calculated by multiplying the demanded sums of money and have no upper limits. The largest fine for bribery in Russian history was imposed in December last year – Lev Lvov, a former deputy head of district administration in the Moscow Region, was sentenced to pay 950 million ($30 million) to the state after a court found him guilty of extorting $1 million from a real estate developer. The police also hold that people who just pose as civil servants and demand money for assistance should also be tried under the proposed law. 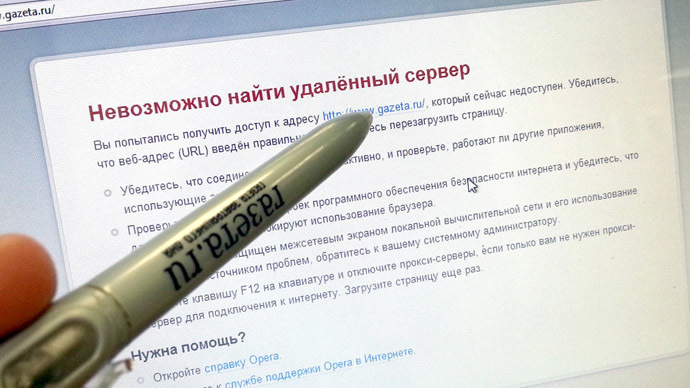 This provision, however, was opposed by the Investigative Committee- the agency wants to distinguish real fraud and suggests the draft is rewritten. Prosecutors said the punishment for bribery and fraud should be made equal to make evasion less profitable. A representative of the United Russia parliamentary majority party, Rafael Marshanin, told Vedomosti that the State Duma would discuss the bill once the proposed corrections are made. 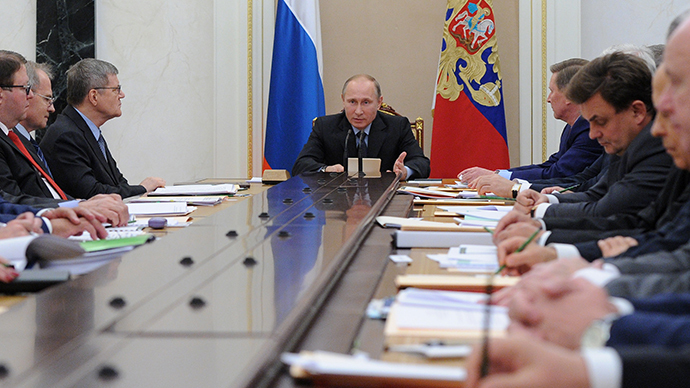 Fighting corruption is one of top priorities for Russian authorities. In October last year President Vladimir Putin chaired a session of the National Anti-Corruption Council and criticized the existing legislation as too soft. Putin called on officials to be tougher when countering corruption in the courts and law enforcement bodies, saying that when it happened it gravely undermined society’s trust in the state in general. He also spoke specifically on the problem of criminals evading punishment.“In the first half of this year almost 700 people were convicted for taking bribes, 692 people to be precise. I would like to draw your attention to the fact that only 8 percent of the bribe-takers were sentenced to prison time, the majority got away with fines that the criminals manage not to pay by using various loopholes,” Putin noted. “The practice shows us that the liberalization is not working the way it should,” the President added. A public opinion poll conducted in mid-2013 by the Levada center showed that 30 percent of Russians consider corruption an inevitable evil in the current political and economic system, 22 percent blamed the national Russian character, and 18 percent said the authorities needed more control.